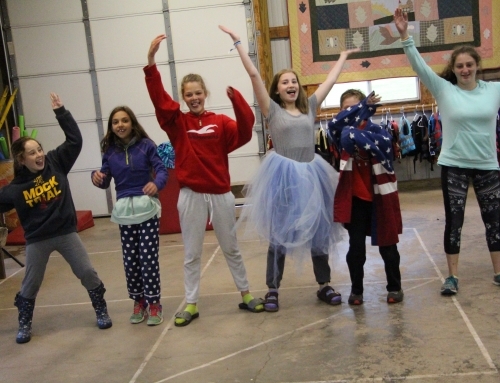 When talking with families that are new to Camp Eagle Ridge (or summer camp, in general), there are some common questions that we’d like you to know the answers to. We understand that we are caring for your most precious part of your life – we want you to ask any and all of the questions you have! 1. How will you protect the Health and Safety of my child? Your child’s health and safety is our first concern. You can’t have fun if you’re not feeling well. There are a number of layers to how we protect your child’s wellness. 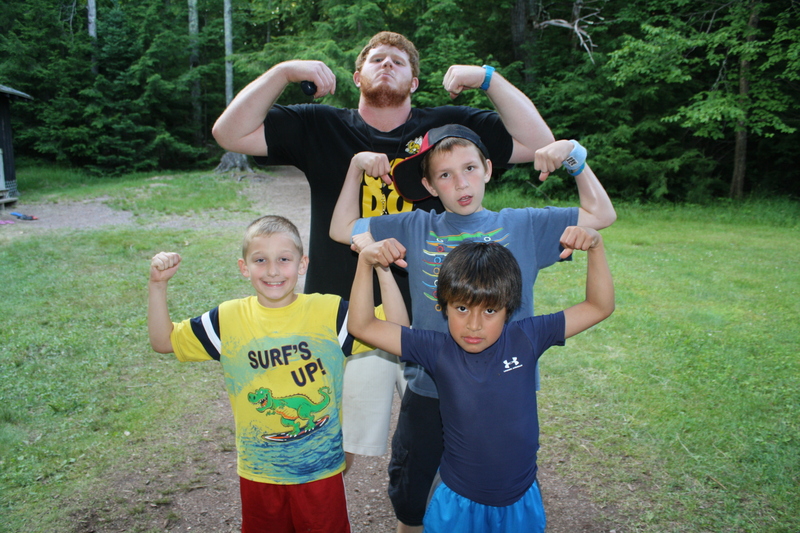 First, we have a full-time Health Manager at camp. Our Health Manager is responsible for managing our campers medications – all medications are kept locked in the Health Center and logged each time a medication is received. Our Health Manager also prevents and treats illness and injury. Next, our entire staff is American Red Cross trained and certified in First Aid, CPR and AED use. We spend time during staff training on emergency procedures, risk management and most of all, prevention. We also spend an evening with the local EMTs, police, and firefighters at camp role playing and practicing our training. We have an excellent safety record and we meet or exceed the American Camp Association’s Standards and best practices. We are an ACA Accredited camp and have maintained that distinction for over 20 years. 2. How do you choose and train your staff? 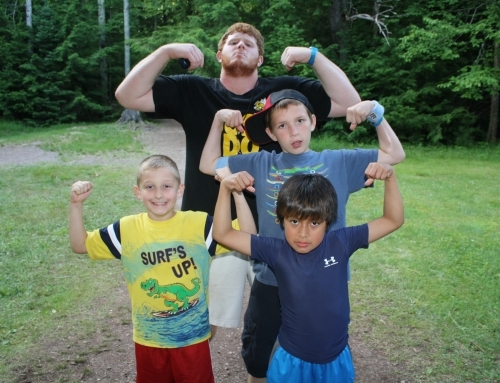 One of the best reasons to choose Camp Eagle Ridge is our staff. Most of our staff are products of our very rigorous and selective two-year training program. During that time, potential candidates are trained in child development, coaching, behavior management, health care, lesson planning and so much more. Before hiring our staff, we have often times had years to observe and teach these candidates. They are the best of the best! We hire our staff for their character, integrity and commitment to helping young people develop in positive ways. Prior to each summer, we spend two weeks in staff training. We practice teach our leadership workshops. We plan events for the summer. We spend time learning from experts in fields such as mental health professionals and child development professionals. We train and practice with our local emergency professionals. We also conduct a background check on each staff member before each summer. In addition, we spend time training our staff in child abuse prevention and detection. We are committed to providing your child with the very best care possible. 3. 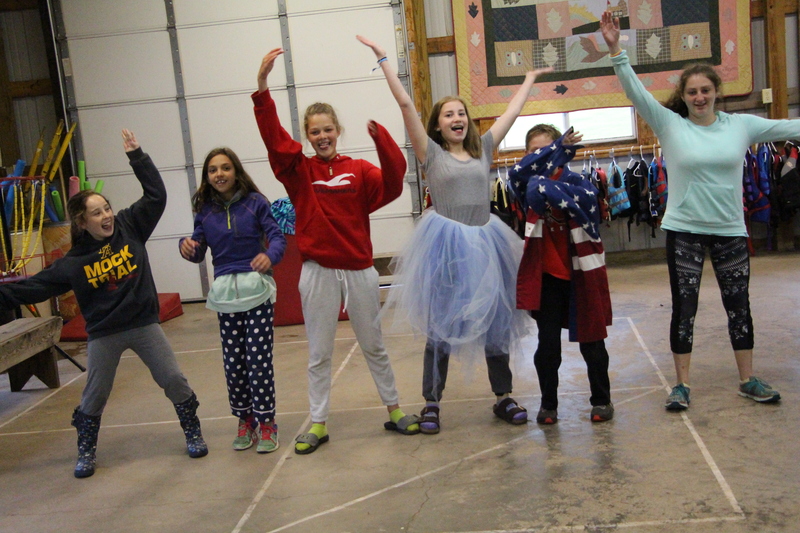 What are the goals of Camp Eagle Ridge? Leadership – We believe in giving young people the tools, practice and experience to help them develop leadership skills and abilities such as: problem-solving, resilience, decision making, listening, public speaking, handling difficult situations, conflict resolution, creating a cohesive team, and helping others. We do this by teaching our campers a method and plan for accomplishing any goal. 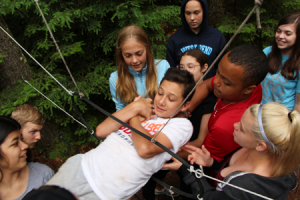 During leadership workshops, kids are given a challenge to overcome. The staff member chooses a 1st and 2nd in command (team leaders). We try to give as many kids as possible this experience. Kids are given opportunities to make mistakes and overcome them. Healthy Living Skills – We help kids develop healthy minds and bodies by teaching them about nutrition, cooking, growing food, and composting. We are very physically active and spend lots of time outdoors. We help kids recognize choices that adversely affect their health. Community Responsibility – We believe that, at its core, leadership is about caring for others. Camp is a community and everyone takes part is keeping our community safe, healthy and clean. The feeling of love and support for each other is palatable. 4. How will I communicate with my child during camp? In a world where we are accustomed to having 24/7 access to our child’s every movement, it can be challenging for us parents to take a step back. At camp, our kids are disconnected from their phones and technology so that they can really focus on the relationships they’re building with each other. 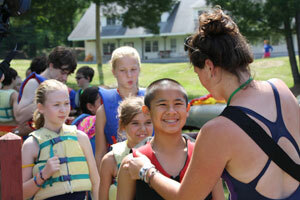 Camp is one of the best places to develop lifelong friendships and work on face-to-face communication skills. Having said that, we have put a variety of features into place to help you, the parent, feel more secure about what your child is doing. We have a password protected account in our website that you can use to send one-way emails to your child. Those emails are delivered each day before breakfast like a letter. We also have a professional photographer on staff that is taking pictures all day long and uploading them to your account. You’ll have a great view of the activities that your child is doing and the friends they are making. In addition, this may be a once-in-lifetime opportunity to get a hand-written letter from your child! Snail mail is still alive and well at camp! 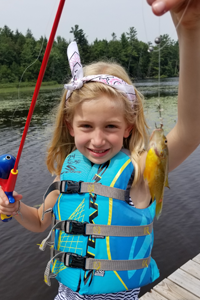 At Camp Eagle Ridge, we partner with our parents to help your child have the best time possible. If your child is struggling, we will call you and together we’ll create a plan for your child’s success. 5. How do I know if my child is ready for camp? Families often ask whether it is better to come to camp individually or with a friend or sibling. There are pros and cons to each situation. A child who comes to camp on their own tends to make the most friends and chooses the activities they are truly most interested in! 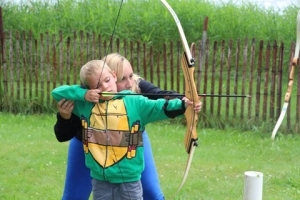 A child who comes to camp with a friend or sibling has the reassurance prior to coming to camp that “at least (insert friend’s name) will be there”. Either way, its a good idea to practice some independent skills prior to coming to camp. Practice sleepovers at a friend or relative’s home. Practice problem-solving – for example, “what would you do if you realized that you had forgotten to pack your swimsuit?” Practice self-care such as doing their own hair or making their bed. It is normal for you and your child to have some nerves prior to attending camp. Call, email, ask questions…we’re happy to help!